I mentioned my love for entertaining a few weeks ago and I’ve somehow committed to hosting yet another gathering before the year is over. New Years Eve! (I know, I’m crazy.) But I’m only hosting the pre-dinner shenanigans for the girls in the group. So it should be a lot of fun and not too much work! Win, win. Since we’re heading to eat right after, anything heavy and filling was out of the question. I couldn’t think of any appetizers that wouldn’t spoil our appetites, but I’m also not about to set out a plate of celery to set the mood for a glamorous night out, you know? So what to serve? 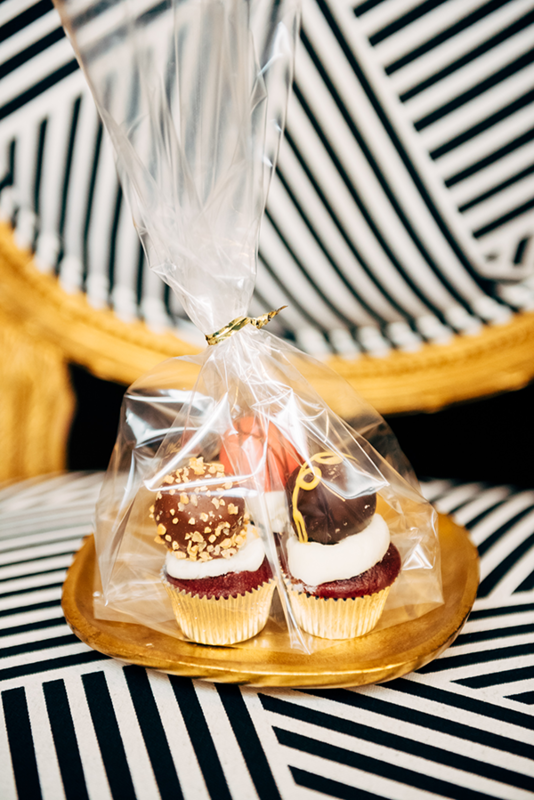 Chocolate and mini cupcakes. 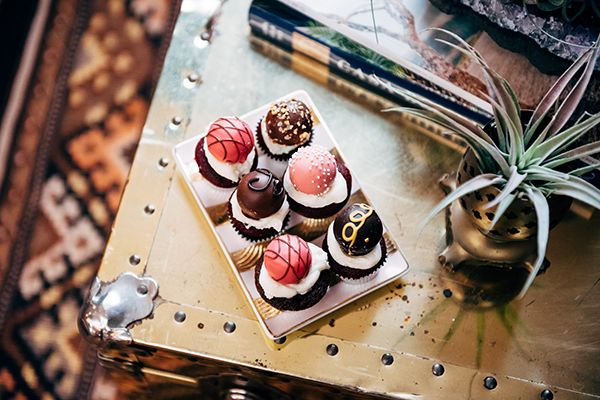 Everyone always has room for a sweet little treat! Am I right, or am I right? 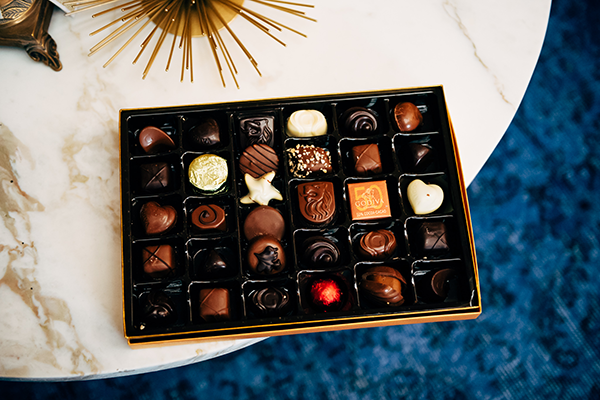 I picked up a few more boxes of GODIVA chocolate truffles to serve on pretty trays. 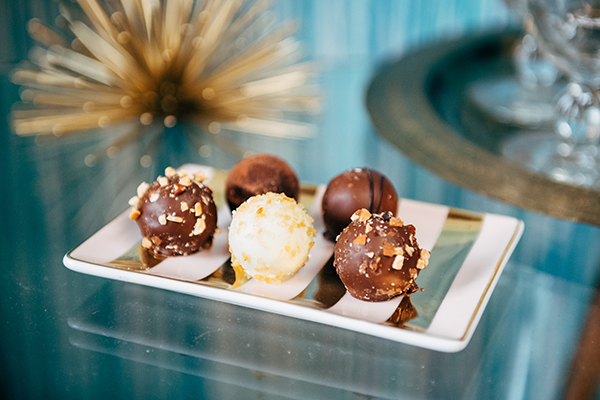 The amazing thing about chocolate truffles is that they look beautiful without having to do any extra work! Because I have been in the mood to bake, I decided to make my own cupcakes for the party. 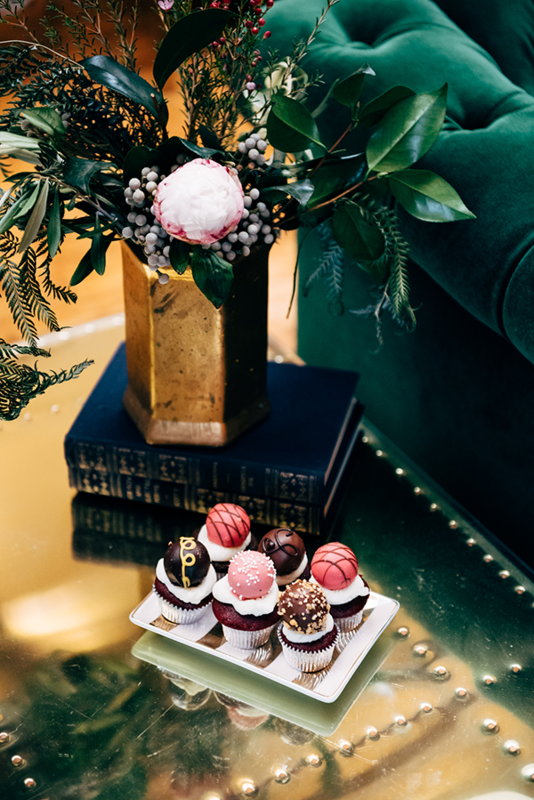 I tested out a few different recipes… a regular sized cupcake with a truffle center and a mini cupcake with a truffle on top. Both were delicious, but I ultimately decided to go with the mini cupcakes because of the occasion. 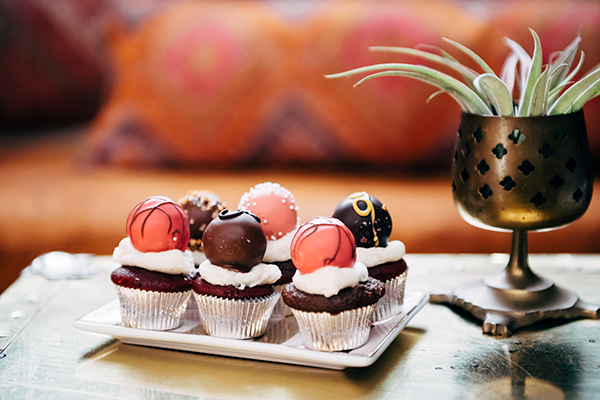 Who can resist a mini cupcake topped with a GODIVA truffle?! Two desserts in one. I’ll include the recipes for both below! Plus, don’t the truffles on top kind of look like the Times Square ball? Music is a must-have for any party! I bought this speaker this past summer and it’s been something I’ve used every single day, as well as every single party. I actually got Hallie one for her birthday and bought one for my grandparents for Christmas, too! (And then my mom bought one for herself at work and one for my brother at his house!) It’s so easy to use and the sound and projection are both great. 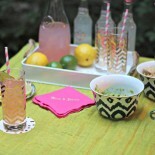 Photos are another fun addition to every party! 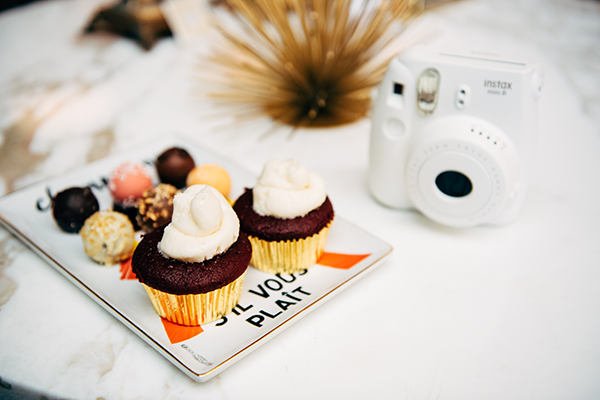 No matter if you’re hosting friends or family, capturing the moment is essential. 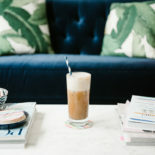 In this post, I shared my tip for leaving disposable cameras around for guests to use and for you to develop later, but old-school Polaroid-style cameras are great for instant viewing pleasure. Just don’t forget a few extra packs of film cartridges! Since it’s New Years Eve, I wanted to up the ante and have a makeshift photobooth. It’s actually a lot easier than it sounds and is totally doable for any party you’re hosting, not just NYE. A backdrop and props are pretty much all you need! For my get together, I ordered multiple strands of this sparkly garland to create a layered fringe wall. Photobooth sticks are a super easy DIY (do a quick search on Pinterest! ), but with my travel schedule before NYE, I’ve opted to buying a few props to use for photos before our night out! You also can’t go wrong with gold balloons, confetti, confetti poppers, and party hats. 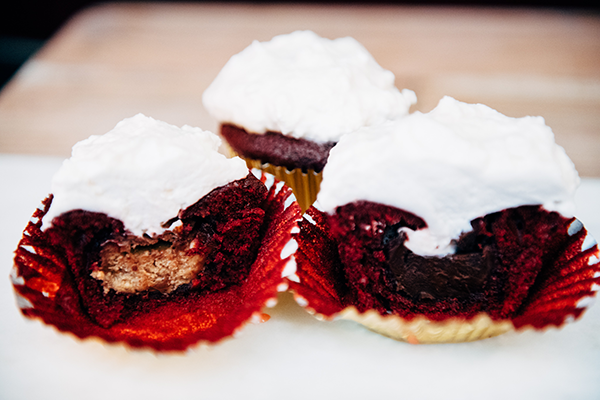 Truffle-Topped Cupcakes – I made both Red Velvet and Devils Food cupcake batter for my cupcakes… from the box. Well, from the box with a few added extras. I followed the box instructions on each, but I also added one cup of sour cream and one package of instant chocolate pudding mix to each when I was mixing the wet and dry ingredients, respectively. Pour into mini cupcake tins and bake for about 12-15 minutes. I started testing with a toothpick at 12 minutes and left them in for a few extra minutes. Once your cupcakes have cooled, top with frosting (I cut the corner off of a ziplock bag!) and a GODIVA truffle! I made a vanilla buttercream frosting inspired by Sprinkles Cupcakes frosting! In a mixer, combine butter, sugar, and salt until blended. Add the milk and vanilla and beat for an additional 3-5 minutes or until smooth and creamy. Molten Cupcakes – I’ve heard a few chefs talk about the ways that they create molten and lava cakes, but this has to be the easiest way! 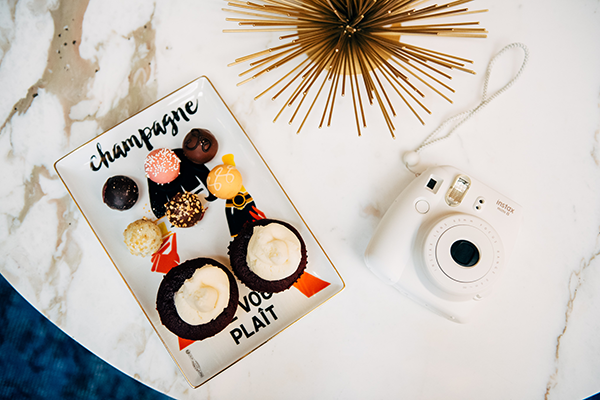 Make your cupcake batter as stated above, fill each regular-sized cupcake tin about ½-2/3 of the way with batter and simply drop a truffle into the center of each tin. Bake as usual! 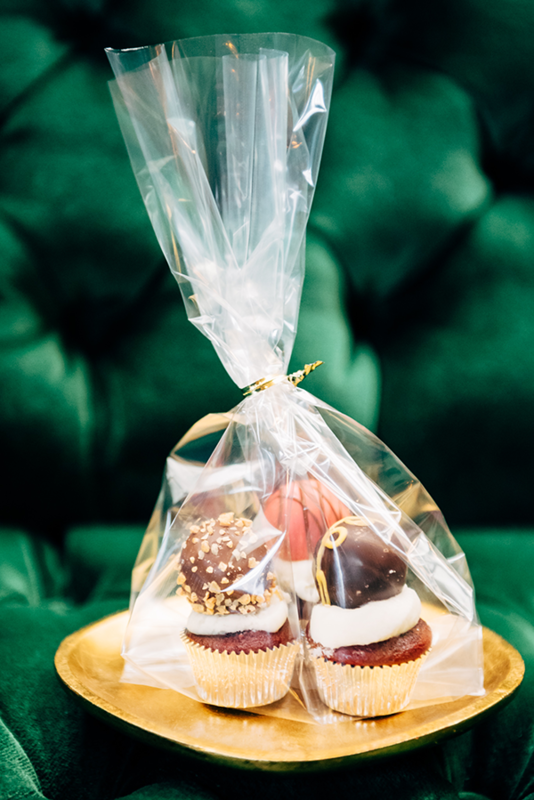 The truffle should be covered once the cupcake bakes, but if you have a slight hole in the center of the top, you’ll be covering it with frosting anyhow! In a mixer, combine all ingredients until soft peaks form. Transfer to a bowl and refrigerate. Before serving, top each cupcake with a dollop of the whipped cream. 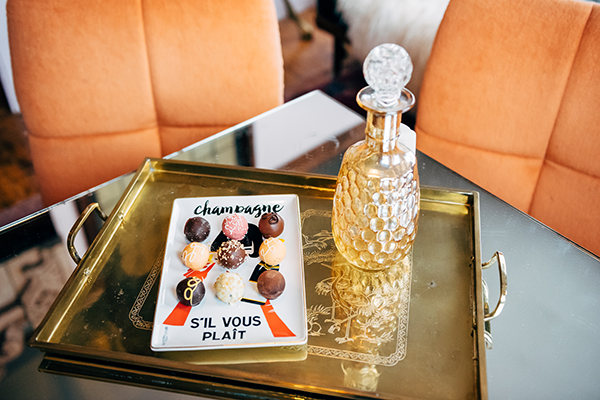 Shop my champagne tray here and the pink and gold tray here! 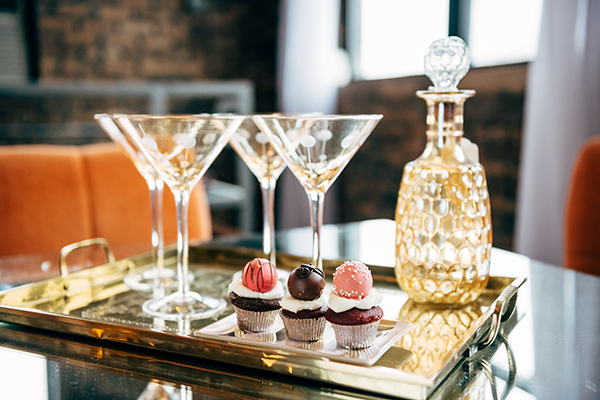 Two Cupcake Recipes + Entertaining Tips for NYE! Ooo, I love this post! 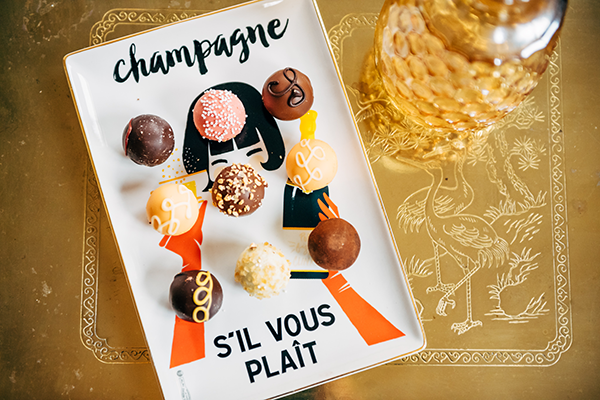 Thanks for the link to the CHEZ ELLE CHAMPAGNE S’IL VOUS PLAIT and the sweet recipes. 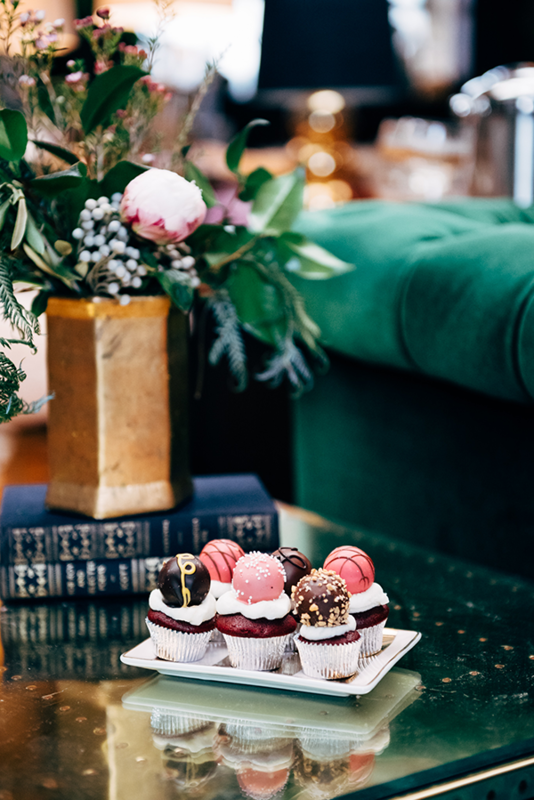 Truffles AND cupcakes?! YUM! My husband actually proposed to me with a box of Godiva truffles! They spelled out Will You Marry Me and had a ring in the empty one. Have a fun NYE! 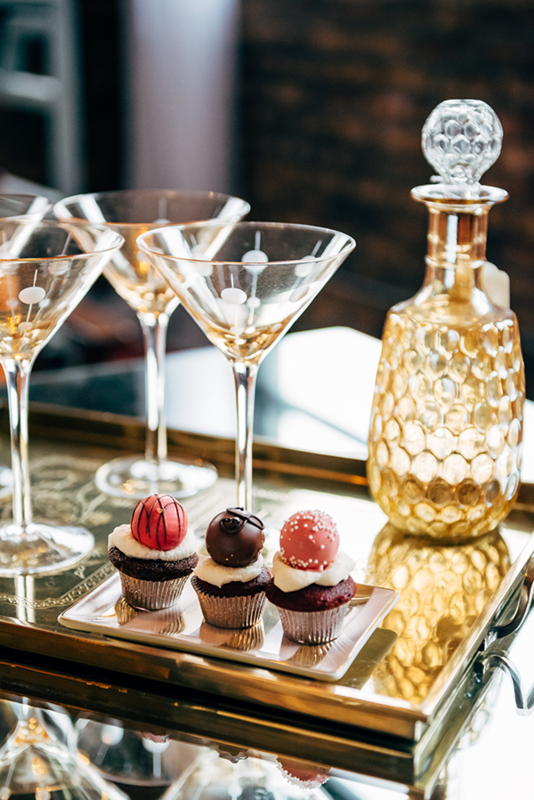 These truffle cupcakes look absolutely delicious! Yummm! I just posted a recipe for peppermint chocolate cupcakes, so these are next in line! Can’t wait. How fun is this! Cannot wait for New Year’s! What brand of boxed cake mix did you use? This post made me so hungry; those cupcakes look absolutely delicious! Happy New Years! Those cupcakes are so adorable!